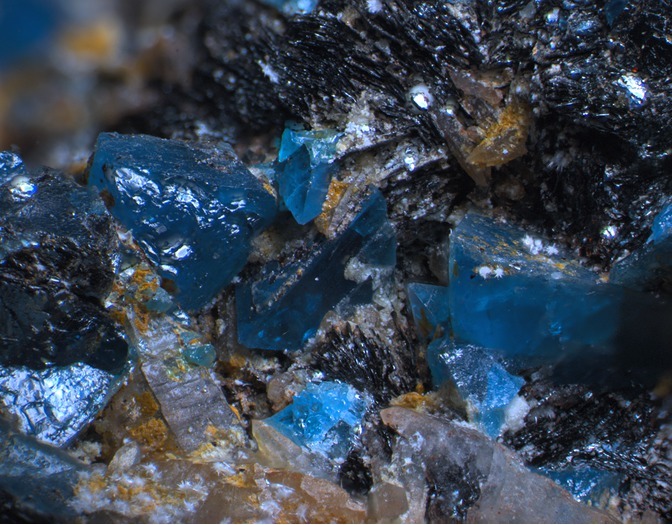 Genthelvite: Mineral information, data and localities. Named in 1944 by Jewel Jeannette Glass, Richard Henry Jahns, and Rollin Elbert Stevens for its relationship to helvine and for Fredrick August Ludwig Karl Wilhelm Genth [May 17, 1820 Wächtersbach, Hesse-Cassel - February 2, 1893 Philadelphia, Pennsylvania, USA], professor of mineralogy at the University of Pennsylvania. Genth first described genthelvite in 1892 but did not recommend a name. Genth's description appears in Am. Jour. Sci., 44, 385 (1892). Glass et al. 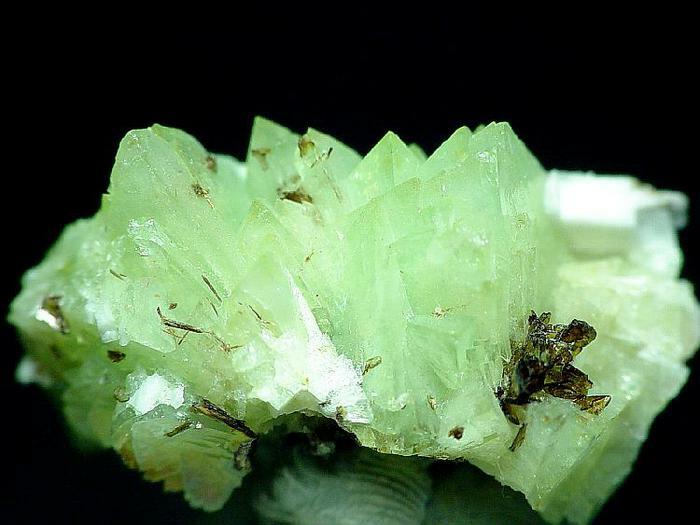 (1944) named the mineral after Genth in the reference listed on the genthelvite descriptive page - see Am. Min., 29, nos. 3 & 4, 163-191 (1944). Helvine Group. Danalite-Genthelvite Series, Danalite-Helvine Series, and the Genthelvite-Helvine Series. Quartz 59 photos of Genthelvite associated with Quartz on mindat.org. Aegirine 32 photos of Genthelvite associated with Aegirine on mindat.org. Helvine 30 photos of Genthelvite associated with Helvine on mindat.org. 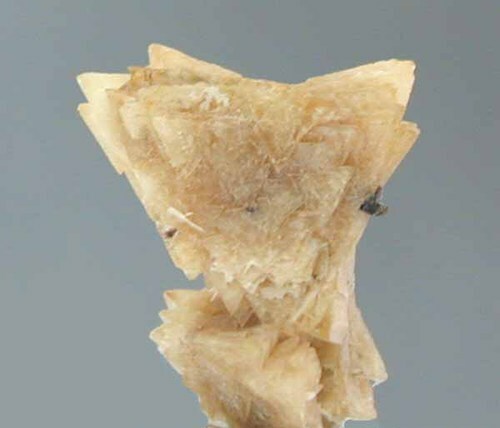 Calcite 20 photos of Genthelvite associated with Calcite on mindat.org. Microcline 16 photos of Genthelvite associated with Microcline on mindat.org. Magnetite 16 photos of Genthelvite associated with Magnetite on mindat.org. Catapleiite 16 photos of Genthelvite associated with Catapleiite on mindat.org. Albite 15 photos of Genthelvite associated with Albite on mindat.org. Analcime 13 photos of Genthelvite associated with Analcime on mindat.org. Hematite 10 photos of Genthelvite associated with Hematite on mindat.org. Strong green fluorescence in long- and short-wave ultraviolet; short-lived phosphorescence. Genth, F.A. (1892) Contributions to mineralogy; No. 54. American Journal of Science 44, 385. Glass, J.J., Jahns, R.H. & Stevens, R.E. (1944) Helvite and danalite from New Mexico and the helvite group. American Mineralogist (1944): 29,: 163-191. DUNN, P.J. (1976): Genthelvite and the helvine group. Mineralogical Magazine 40, 627-636. DUNN, P. (1977): The helvite group. The Mineralogical Record 8, 92 93. HASSAN, I. & GRUNDY, H.D. (1985): The crystal structure of helvite group minerals, (Mn,Fe,Zn)8(Be6Si6O24)S2. 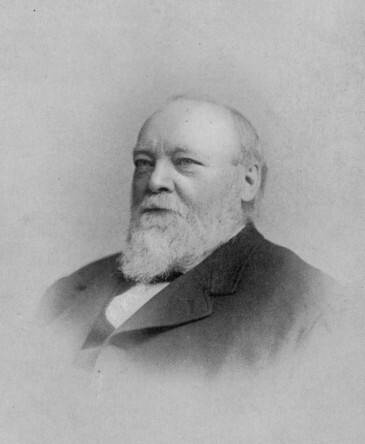 American Mineralogist, 70, 186-192. Antaos, S.M. & Hassan, I. (2010) A two-phase intergrowth in genthelvite from Mont Saint-Hilaire, Quebec. Canadian Mineralogist 48, 1217-1223. The following Genthelvite specimens are currently listed for sale on minfind.com. Černý, P., Galliski, M. A., Oyarzábal, J. C., Teertstra, D. K., Chapman, R., MacBride, L., & Ferreira, K. (2003). Stranded and equilibrated assemblages of late feldspars in two granitic pegmatites in the Pampean Ranges, Argentina. The Canadian Mineralogist, 41(4), 1013-1026. Haapala,I: & Ojanperä, P. 1972. Genthelvite-bearing greisens in Southern Finland. Geological Survey of Finland, Bulletin 259. 22s. Haapala, Ilmari and Ojanperä, Pentti (1972) Genthelvite bearing greisens in Southern Finland. Geological Survey of Finland, Bulletin 259, 22p. Haapala, I., & Lukkari, S. (2005). Petrological and geochemical evolution of the Kymi stock, a topaz granite cupola within the Wiborg rapakivi batholith, Finland. Lithos, 80(1), 347-362. • Gartner, A. & Weiss, S. (2005): Blauer Genthelvin aus Südtirol – ein sensationeller Fund. Lapis, 30(10), 20-23. • Folie, K., Moro, M., Perugini, A., Rocchetti, I. (2004): Genthelvin vom Pfitscher Joch - ein seltenes Vorkommen in den Alpen. Mineralien-Welt, 15(3), 74-75. Folie, K., Moro, M., Perugini, A., Rocchetti, I. (2004): Genthelvin vom Pfitscher Joch - ein seltenes Vorkommen in den Alpen. Mineralien-Welt, 15, 3, 74-75; Gartner, A., Weiss, S. (2005): Blauer Genthelvin aus Südtirol – ein sensationeller Fund. Lapis, 30, 10, 20-23; Folie, K., Gentile, P., Hanke, M., Rocchetti, I. (2010): Mineralien aus der Umgebung des Pfitscher Jochs in Südtirol (II). Mineralien-Welt, 21, 4, 42-67. Tsuruta et al. (2005) Koubutsu-Gakkai Kou'en-Youshi, 146. Econ Geol (1995) 90:530-547; Kovalenko, V. I., Yarmolyuk, V. V., Sal nikova, E. B., Kartashov, P. M., Kovach, V. P., Kozakov, I. K., ... & Yakovleva, S. Z. (2004). The Khaldzan-Buregtei Massif of peralkaline rare-metal igneous rocks: structure, geochronology, and geodynamic setting in the Caledonides of Western Mongolia. Petrology c/c of Petrologiia, 12(5), 412-436. Raade, G. (2005): Gjerdingen-ekeritten, en unik mineralforekomst. Norsk Bergverksmuseum Skrift nr. 30, 2005, p 17. Bailey, J. C: Formation of cryolite and other aluminofluorides: A petrologic review. Bull. geol. Soc. Denmark, vol. 29, pp. 1-45. Copenhagen, June 10th, 1980.; Nechaev, S.V. & Pastukhov, V.G. 2003: Links between the Proterozoic anorthosite-rapakivi granite plutons and ore-forming events in the Ukrainian Shield (ores of titanium, uranium, rare metals and gold). Norges geologiske undersøkelse Special Publication 9, 27-33; Nechaev S & Pastukhov V (2001) Links between the Proterozoic anorthosite-rapakivigranite plutons and ore-forming events in the Ukrainian Shield (ores of titanium, uranium, rare metal and gold). in Abstracts – GEODE field workshop 8-12th July 2001 on ilmenite deposits in the Rogaland anorthosite province, S. Norway. Dunn, P. (1976): Genthelvite and the helvine group (Mineralogical Magazine 40:627-636). Essene, E.J. & Peacor, D.R. : Petedunnite...: Am. Min. :72:157-166 (1987); Dunn(1995):Pt3:369.
personal identification by Fred Schuster.